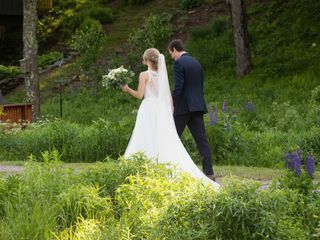 A kind of eden tucked into the Northeast, Catskill Barn Weddings at The Natural Gardens provides couples with a natural getaway that is ideal for a whimsical wilderness destination barn wedding. Everything about this destination gently whispers peace and serenity. Envision walking through a lush green field as your wedding aisle and saying your vows at the glittering pond-side beneath an archway of tree branches, with the ambient music of tweeting birds and fish leaping from the water creating the soundtrack for one of the most important moments of your life. A nearby stone waterfall and flourishing flowers adds character to this already uniquely beautiful outdoor space! Natural Gardens is also completely off the grid! 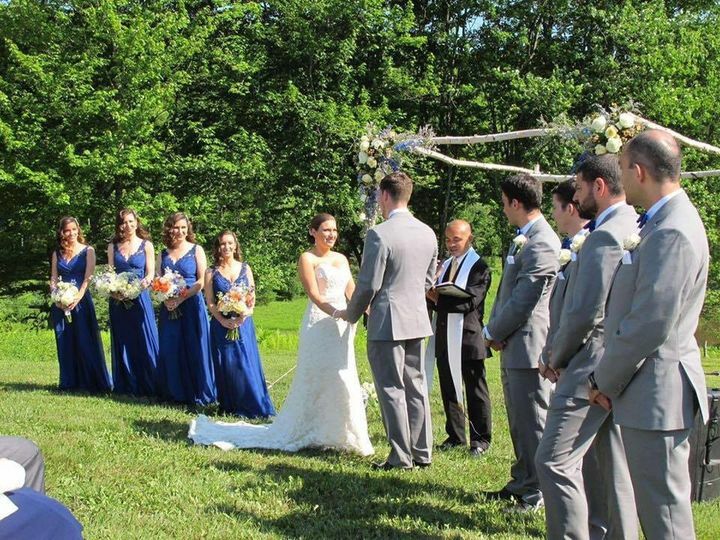 Natural Gardens is the most unique, private and beautiful destination wedding venue in the Catskills! 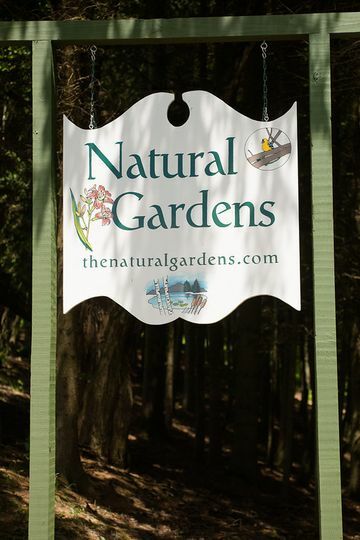 The Natural Gardens encompass 107 acres in the Western Catskills, the farm boasts beautiful mountain scenery, barns, woodland gardens, landscaped ponds with large koi, babbling brooks and waterfalls. The farm features hundreds of varieties of perennials, including native orchids, trilliums and ferns. 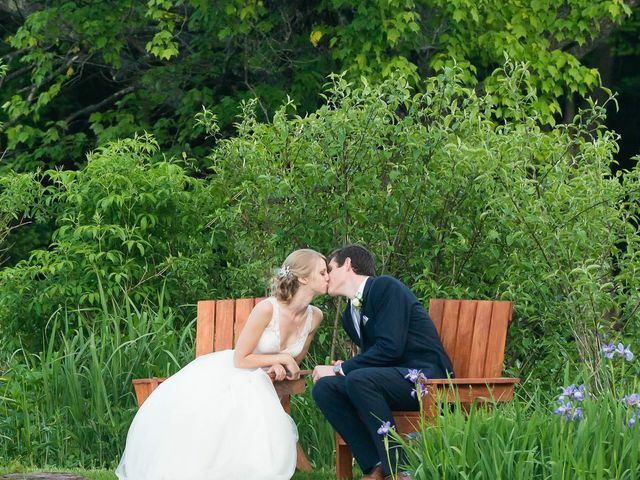 A beautiful place for a Catskill Barn Wedding! 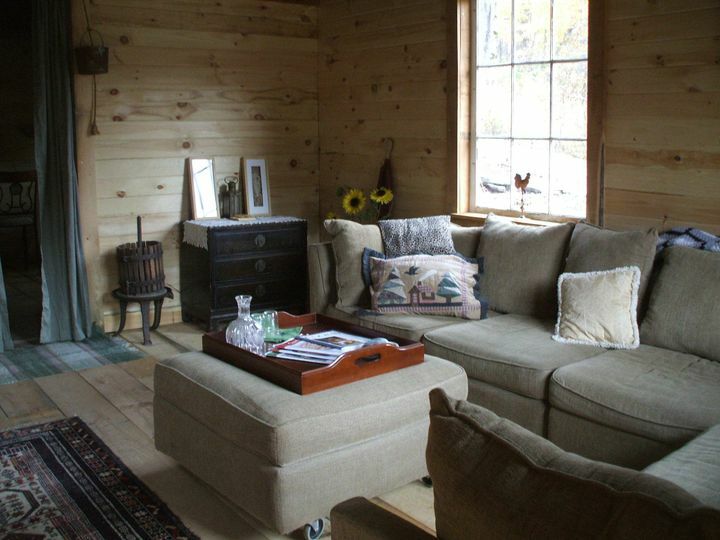 We are referred to as Rustic Elegance! 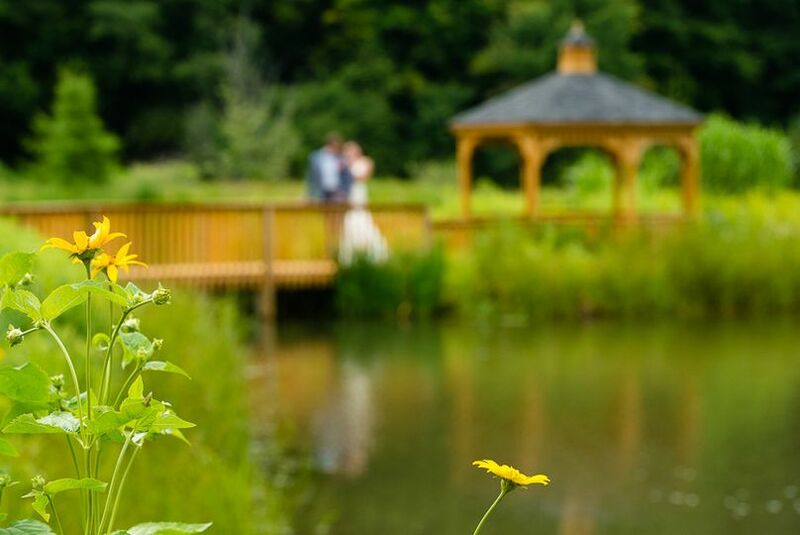 The quaint wooden gazebo, beautifully cultivated land, dense woods, and glittering pond waters all serve as the perfect backdrops for singular wedding photos. Host a rustic barn reception on the farm, an open space barn venue that begs for your personal touches. The cedar floors, vaulted ceilings, and exposed beams define the space, offering the perfect vibe to match your laid back ceremony. 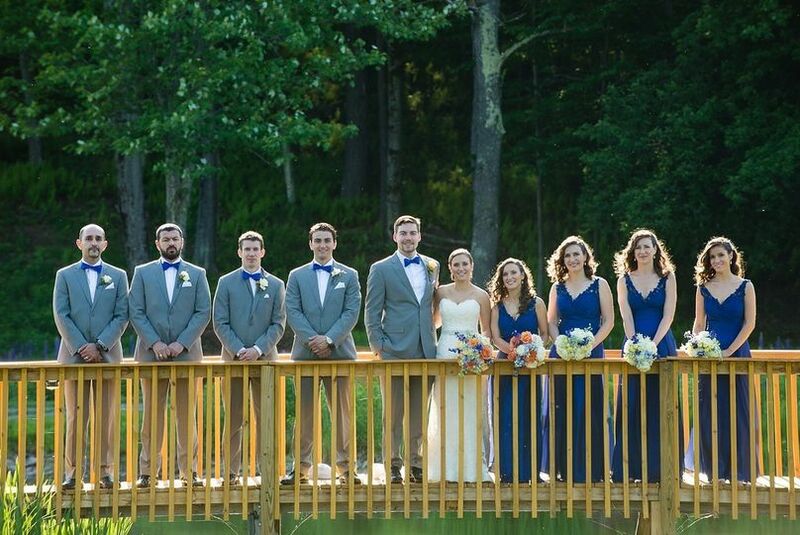 Enjoy one-of-a-kind views of the ponds and surrounding forest out of the structure’s wide screened windows, allowing your guests to breathe in the fresh air of the scenic Catskills while celebrating your union! 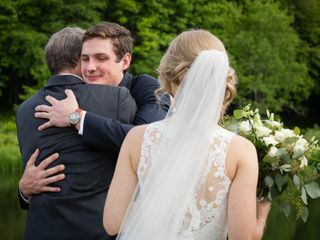 Ultimately, Catskill Farm Barn Weddings at The Natural Gardens are the perfect match for the couple that wants to enjoy a wilderness destination Catskill retreat for their big day! Visit: The Natural Gardens for more information or contact us at: sm@thenaturalgardens.com. Gardens bloom from May till October. Our hops yard. We grow our hops to use in making our beer. If you asked me to describe this venue in two words, it would be easy: Beauty and Heart. 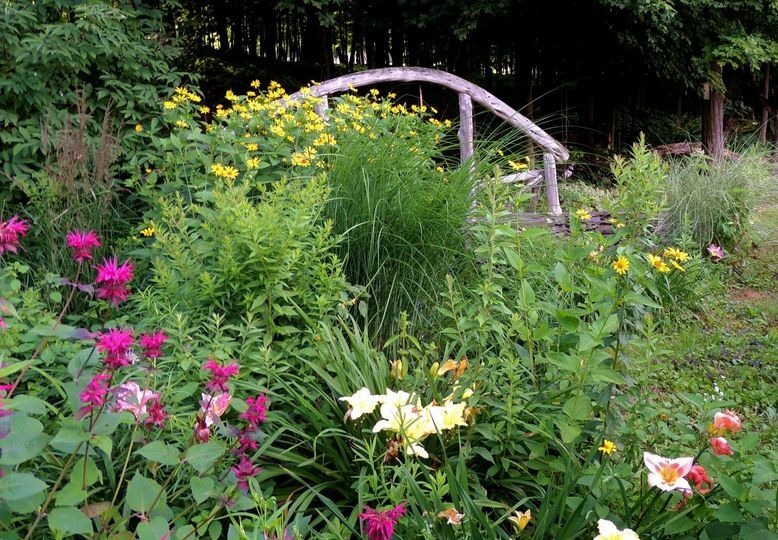 Yes, the The Natural Gardens is a meticulously landscaped, beautiful dream setting in the Catskills. But the owners, Steve and Cathy, are what MAKE this venue absolute perfection. 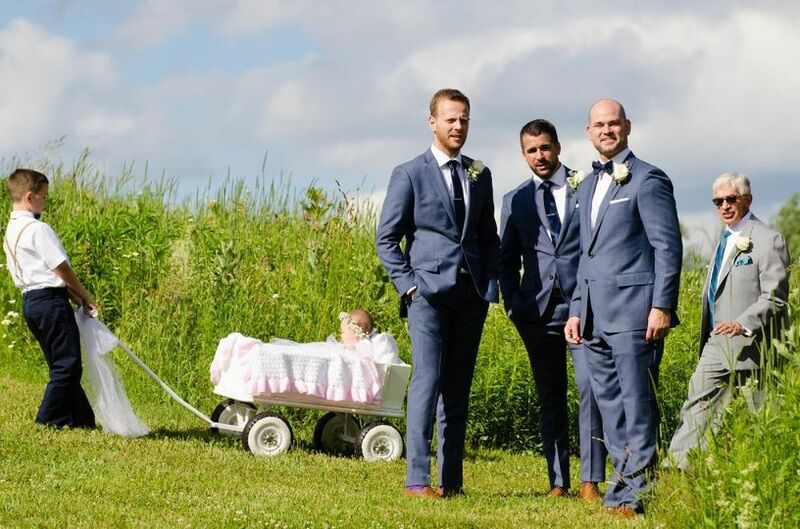 This property is their home, and they care for their guests like their own family - they put their heart and soul into this venue, and do the same when caring for their bridal couple. 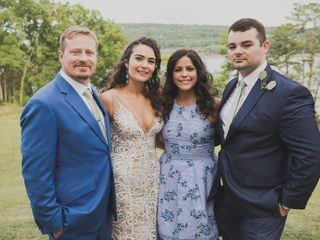 My husband and I were originally looking for a venue in Hudson Valley, but our guest size, desire for a weekend event, and Fall-timed nuptials prompted us to expand our search further into the Catskills. Thank goodness it did! When we arrived at the venue for our first visit, it was September, and the grounds were still beautifully lush and green, with blooming flowers. We were quickly won over by the treelines, ponds, and gardens. Steve is a horticulturist, and has cultivated every inch of the property with love - and it shows. We knew it would the tree-lines would be perfect for our fall wedding, complete with yellow, orange, and red foliage (and it was!). 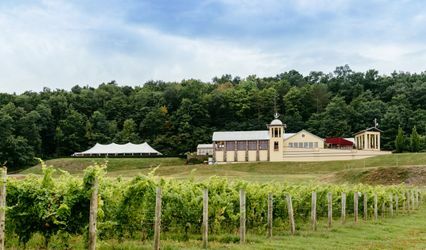 On that first day, Steve and Cathy took us on a tour of the property, and we loved that there were plenty of options to host a number of events, and have it feel like a ‘different’ venue for each aspect of our wedding weekend. They also had plenty of recommendations for us - from caterers to local hotel/private home accommodations. 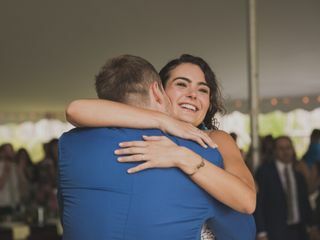 We booked with them a little more than a year in advance, and they stayed highly responsive and communicative right up until our wedding weekend. They also let us know that we were welcome to come back at any time to take photos (including engagement pictures), or make plans for our wedding weekend. We didn’t end up doing so because we live in New York City, but it was helpful to know the option was there! 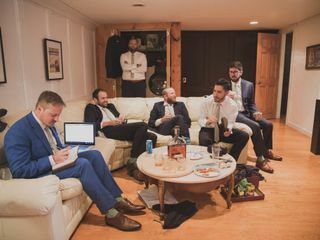 During our wedding weekend, we ended up using the property for two days: On Friday, we held a Color Wars style game day for our guests, followed by a welcome party dinner in the forest. On Saturday, we had an outdoor ceremony, followed by a reception in the barn/event center, topped off with a s’mores bonfire under the stars. 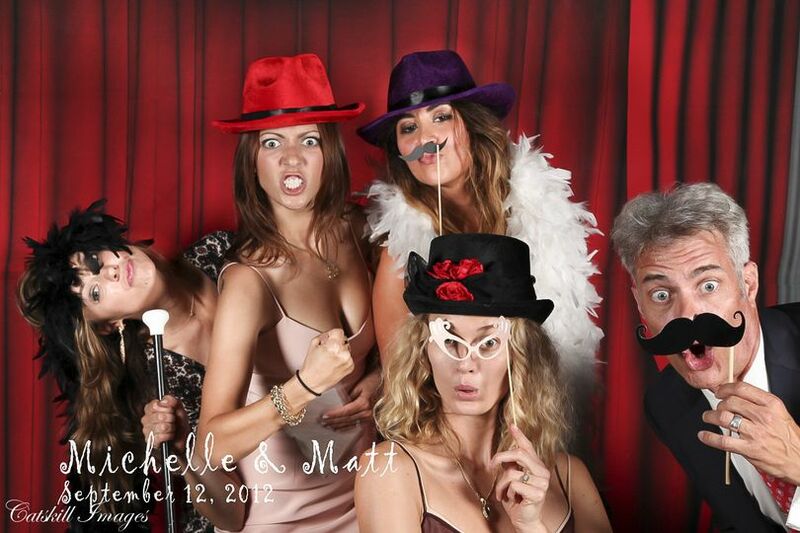 The weekend was magical, in large part thanks to Steve and Cathy. Unfortunately, we had a wedding planner who under-delivered, and Steve and Cathy were well aware of the stress and hardship that this caused us. But they made sure that we were well-taken care of, and graciously took on MUCH MORE than they should have had to to ensure the weekend was as successful as possible. From ensuring our cake was on display for our guests, to golf-carting us around the property to get photos/video in as many settings as possible, to combing the property for lost items the morning after, Steve and Cathy went above and beyond our expectations. And our guests absolutely LOVED all the photo ops with the beautiful fall scenery. We couldn’t have picked a better spot to start our forever. Thank you, Steve and Cathy! There’s no mobile/wi-fi service (yet), but they are working on it. We actually loved that we (and our guests) were able to completely disconnect. It made for a better party! There is an onsite bridal house with plenty of couches, a bedroom, and sizeable makeup/hair space for wedding day. This bridal house was my absolutely LIFESAVER - it was a great place to retreat, get my zen, and prepare for the long day of wedding festivities. Steve and Cathy are constantly making upgrades to the venue - so ask about what they may have in store for your target dates. In between our booking and our actual wedding weekend, they built out some restrooms by the bonfire area which was also near we were had our “games.” It was a perfect addition that was totally unexpected! 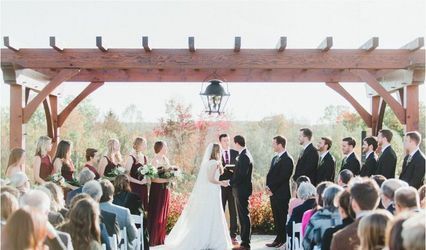 The Natural Gardens was our dream venue! As soon as we stepped foot on the property we knew we needed to get married here. The grounds are beautiful and immaculately kept, Steve has done an amazing job! All of our guests keep telling us they can't believe what a stunning location we found for our wedding. Pictures don't even do it justice! 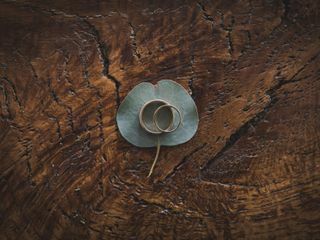 Besides it's obvious beauty, one of the best parts about the Natural Gardens is that your wedding is completely customizable. We were able to choose all of our own vendors, which allowed us to save a lot of money on catering and have food that we actually wanted. 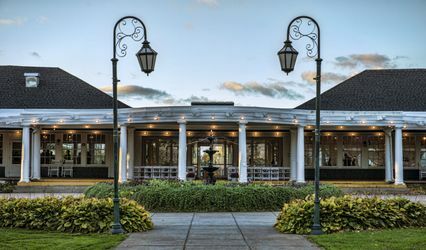 We rented the grounds for the entire weekend, so we were able to have our rehearsal dinner, ceremony, cocktail hour, reception, and brunch all in one location which made the day of logistics so much easier for us and our guests. There is even an adorable bridal cottage on location for the girls to get ready in! Steve and Cathy were always there to help and offer suggestions. Cathy is so warm and friendly. She always greeted us with big hugs and kept encouraging us to come back as many times as we needed! 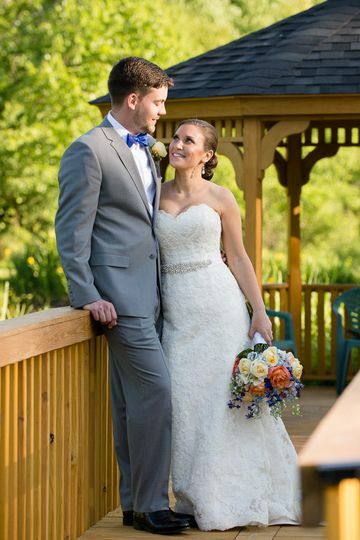 The Natural Gardens is an absolutely breathtaking venue with amazing owners and we feel incredibly fortunate to have gotten married here! The Natural Gardens was such a beautiful setting. We received tons of compliments on how great the venue looked. Steve and Cathy put in countless hours prepping the site and guiding us through the process. What a great pair to work with! Any time we had questions they had an answer. 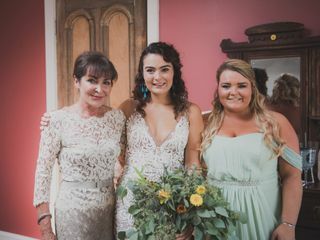 They both were incredibly helpful, especially in the week leading up to the wedding and then on the wedding day itself. We would highly recommend working with Steve and Cathy and the venue is absolutely breathtaking. 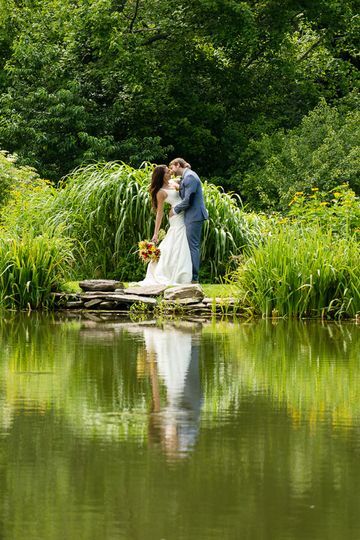 The beautifully landscaped grounds with stone walls, ponds and waterfalls is the perfect place for a Catskill Mountain Wedding!